Heavy rainfall breaks local and regional records, as provincial governments in the Litoral region struggle to cope with the emergency conditions. More than 5,000 families and 300,000 hectares were affected by flooding in Argentina's northern Litoral region late last week, as heavy rains continued to fall. 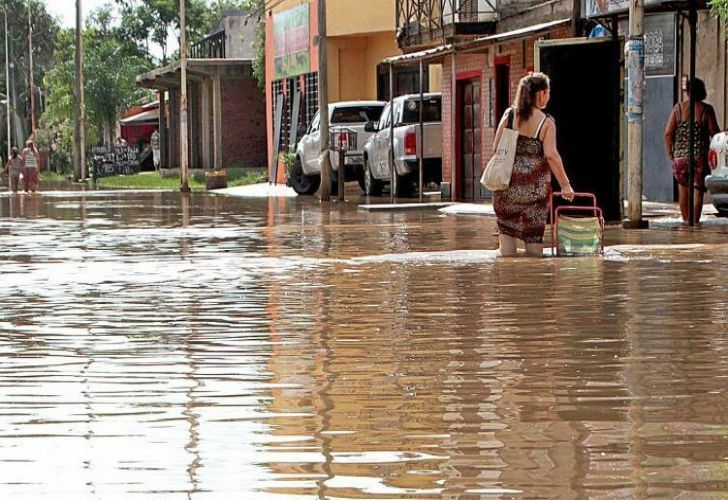 Chaco, Corrientes and Santa Fe provinces were the worst affected by a week of intense and continuous rain, with Formosa and Misiones provinces also reporting problems. Four people died in the region: three is Paso de los Libres in Corrientes province and one in Santiago del Estero province, where a boy was hit by a falling branch. Several towns are completely cut off. A meteorological alert was lifted Saturday, as the intensity of the rainfall begins to weaken. In the last 11 days, 400 millimetres of rain fell in the northeast of Santa Fe province, the INTA reported. El Nochero, Santa Margarita and Villa Minetti were among the towns most affected. The town of Los Amores in Santa Fe registered rainfall of 740 millimetres in one week, which is the equivalent of its total annual average. Local authorities there are warning that if current conditions continued to affect the area, then up to 1,500 people will be forced to evacuate. Santa Fe province's Secretary of Water Juan Carlos Bertoni described the situation in his province as "increasingly more complicated". "In the next six days, we are expecting rainfall of 200 millimetres. We are going to see water levels rise significantly", he said. In Corrientes province, 2,500 people were evacuated, while in Santiago del Estero province authorities reported that 800 families had been affected by the flooding. In Chaco province, authorities reported that up to 4,500 families were directly affected by floods, with 500 of them evacuated to six community centres and schools. 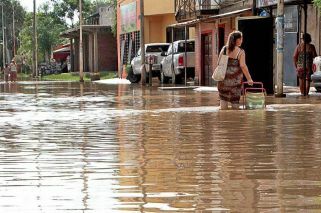 Chaco's capital, Resistencia, reported 465 millimetres of rain, its highest recorded rainfall in 64 years. The province has declared a state of emergency. Governor Jorge Capitanich urged President Mauricio Macri via Twitter to ensure "the upmost energy, speed and priority" in carrying out public works projects his province, which he deemed "essential to mitigate the effects of flooding in the entire Resistencia Metropolitan area".